Biggest Loser Winner Goes CrossFit! "Let me tell you something: People think [CrossFit] is about these crazy guys that are in phenomenal shape; no. It is for everyone. I've met men that were 5'9" and 400# who in six months, they've lost 150 pounds doing CrossFit. And a sensible Paleo diet. It is about diet and exercise. CrossFit is the wave of the future. I don't care if you've never done a sport in your life; this is the place to be. I don't care if you're sedentary. I don't care what your excuse is... injuries? I've got … [Read more...] about Biggest Loser Winner Goes CrossFit! [youtube=http://www.youtube.com/watch?feature=player_embedded&v=pMbPIzNQEuc#! ]‎"This is the workout that transformed not only my body, but my mind. It's all about CrossFit, man. It is the new generation of fitness." 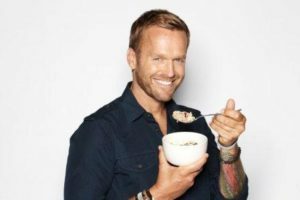 Yes, another Bob Harper/CrossFit post. Why? Because this a huge deal. One of the stars of The Biggest Loser, Bob is often referred to as "America's Trainer." He's been in the fitness industry for decades, and is literally world-renowned. And most exciting for us, he's recently … [Read more...] about Are YOU ready to be transformed?